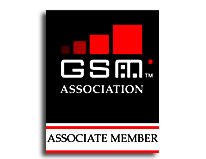 SIM Watch is a Web-based application which allows operators to catalogue and monitor all test SIM cards sent to and received from their roaming partners. Alerts can be sent by email whenever a SIM card’s usage exceeds the monthly threshold, or when a SIM card is used outside of its intended network. As the number of test SIM cards entrusted to you increases with each new roaming agreement, so does the need for careful monitoring of their usage. EDCH has a support team of dedicated and highly-qualified professionals that is ready to assist you on any concerns regarding SIM Watch.